What killed the dinosaurs? The Ice Age! And ice bars! Oh, excuse us…allow us to break the ice: Here’s a bunch of pictures of the many ice bars that popped up throughout Milwaukee this past weekend. 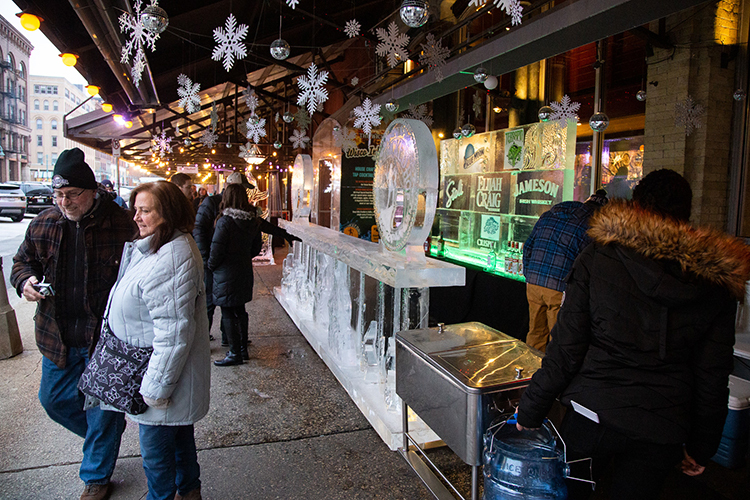 St. Paul Fish Company, Cafe Benelux, and The Wicked Hop opened three hand-carved ice bars outside their Third Ward locations on Friday; Black Cat Alley, meanwhile, staged a “Fire+Ice” event on the East Side on Saturday. And hey! It was cold and snowy! Cool parties, Batman! Enjoy these pictures, for they are the chilling sound of your doom!